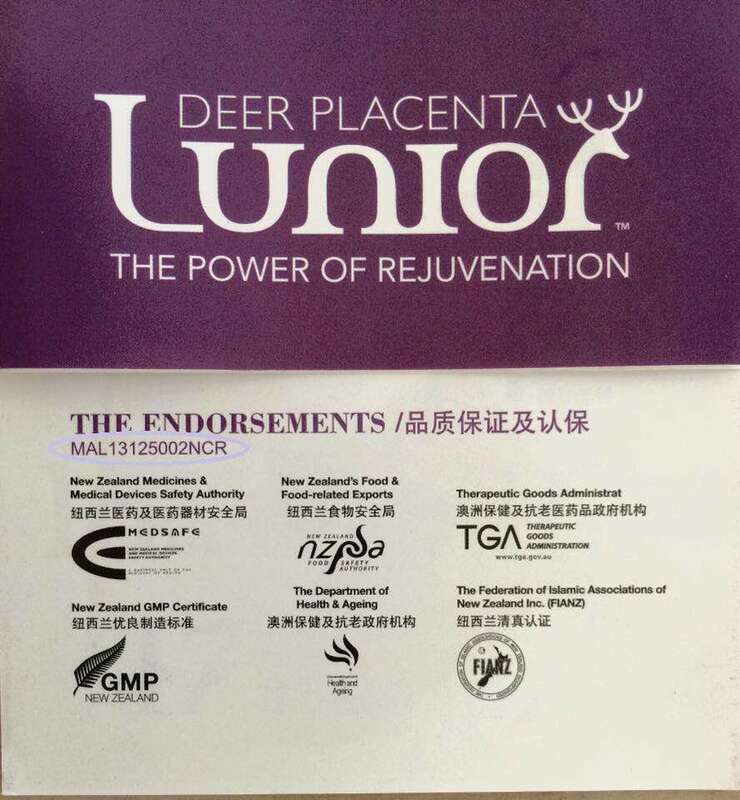 I first heard about deer placenta health supplement on a workshop that I attended months ago. According to the speaker, deer placenta is the latest health supplement that provides many benefits including youthful and improve blood circulation. 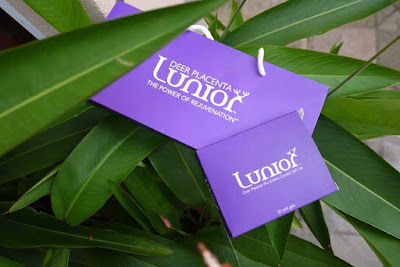 So coincidentally, my friend has introduced me the Lunior Deer Placenta Plus Enteric-Coated Soft Gel last week. Hence, I grabbed the golden chances to try it out since many people has already consuming it with good feedback. 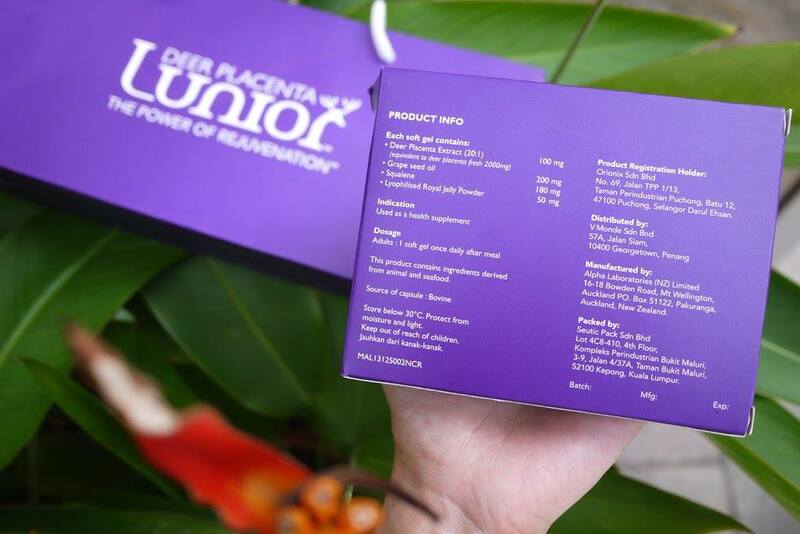 As we know, placenta is a vital organ that is naturally needed for exchange of nutrients between the mother and the fetus. Ancient Chinese people explored the power of placenta as a source rich in nutrition, which nourishes the human body. Now, Deer placenta is preferred over other sources of placenta as New Zealand deer is known to be disease-free and a rich source of nutrients as well as certain growth factors which could be used for restoration of skin health and other benefits. The product is farmed from best sourced of New Zealand deer. Made by Alpha Laboratories (NZ) Limited in New Zealand, Lunior Deer Placenta Plus Enteric-Coated Soft Gel comes in a 30 soft gels pack. 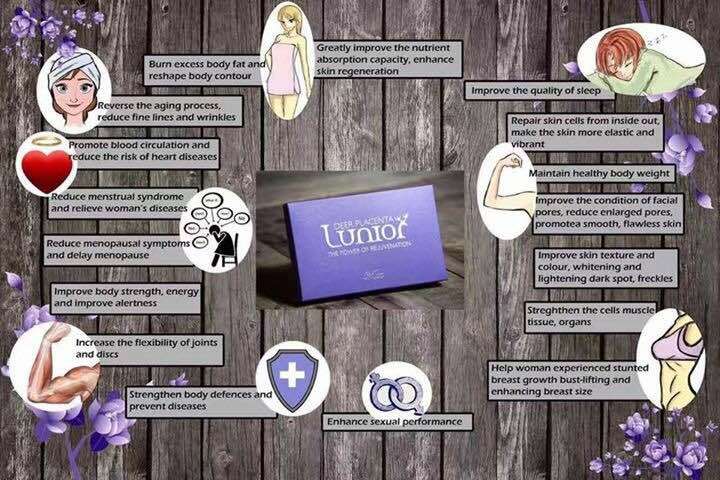 Each soft gel contains 100mg deer placenta extract (20:1, equivalent to deer placenta fresh 2000mg), 200 mg Grape Seed Oil, 180mg Squalene and 50mg Lyophilised Royal Jelly Powder. Used as a health supplement, it is advice that we consume 1 soft gel once daily after meal. 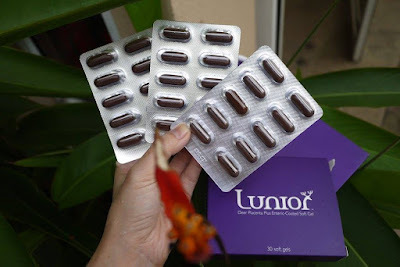 I wanted a faster result hence I have consumed 1 soft gel each morning and night for the pass 1 week. Result? My skin is brighter, smoother and firmer. 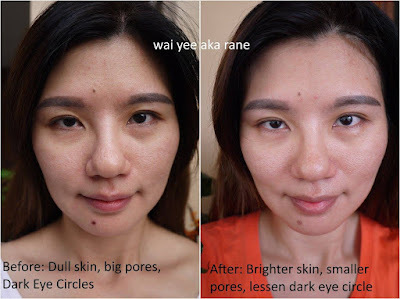 As you can see from the picture above, my skin texture is improved, skin is supple and hydrate and hence the pores are smaller, my dark eye circle has reduced, and my pimples has reduced too. 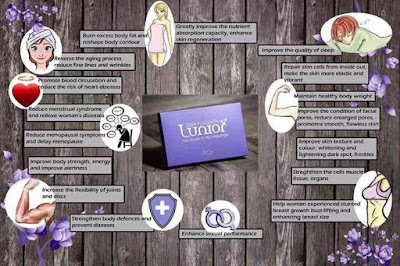 In fact, Lunior Deer Placenta Plus Enteric-Coated Soft Gel has many other benefits too, including helps to repair and regeneration cell, improve sleeping quality, improve immune system, great for menopause syndrome and menstrual syndrome and many more. Since the product is in premium quality, it is priced at RM 688 per box. They are having a promotion of 3 box package for only RM 388 x 3. Feeling interested to try already? 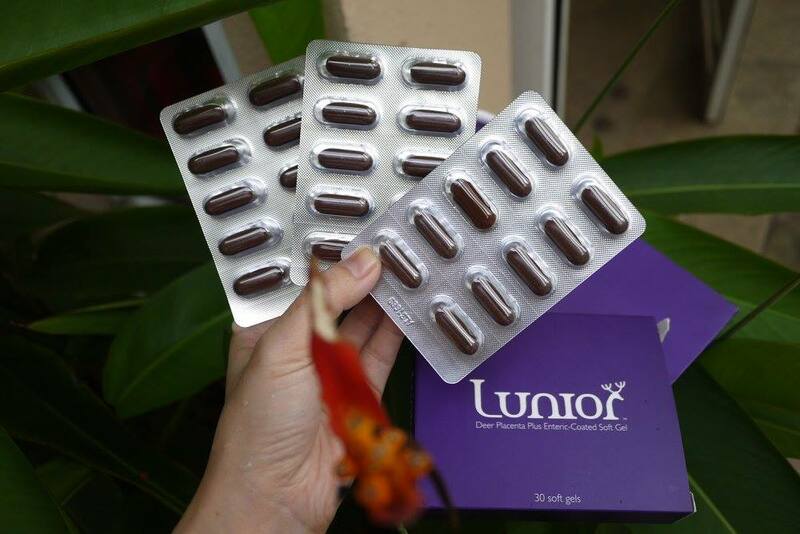 You may contact Dr. Mincos Lim Lay Hong PHD(USA) at +6-0192622727 or wechat ID 'mincos2727' for more information. You may also contact them on aesthetic.d.angelface Facebook.